The Center for Women’s Global Leadership strengthens and facilitates women’s leadership for women’s human rights and social justice worldwide. 2018: Channel Foundation made a grant to support the Saudi Arabian Women’s Initiative of the Center for Women’s Global Leadership at Rutgers University (via the Rutgers University Foundation). 2010: Channel made a grant to support the Charlotte Bunch Women’s Human Rights Strategic Opportunities Fund at the Center for Women’s Global Leadership (CWGL) at Rutgers University through the Rutgers University Foundation. The Charlotte Bunch Women’s Human Rights Strategic Opportunities Fund was located in the Rutgers University Foundation and allowed CWGL to support initiatives that were of strategic significance in seizing important political opportunities for the advancement of women’s human rights globally. The fund was intended to be utilized, for example, to organize strategic conversations among diverse players in the advocacy for women’s human rights; to finance research and/or writing on critical issues related to women’s human rights; or to support women’s human rights defenders. It was intended to have the flexibility to remain innovative and respond to fluid, diverse, and evolving needs in the women’s human rights movement. 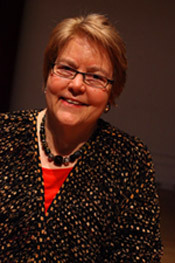 Charlotte Bunch is the Founding Director and a Senior Scholar at CWGL. In June 2018, CWGL published an online interactive timeline called Global Feminist Journeys which highlights crucial points in history that have contributed to the advancement of women’s human rights. A group of independent experts ranked CWGL, particularly their long running 16 Days of Activism Against Gender-Based Violence Campaign as one of top five rated organizations working in the field of ending violence against women internationally on Philanthropedia, a division of Guidestar.